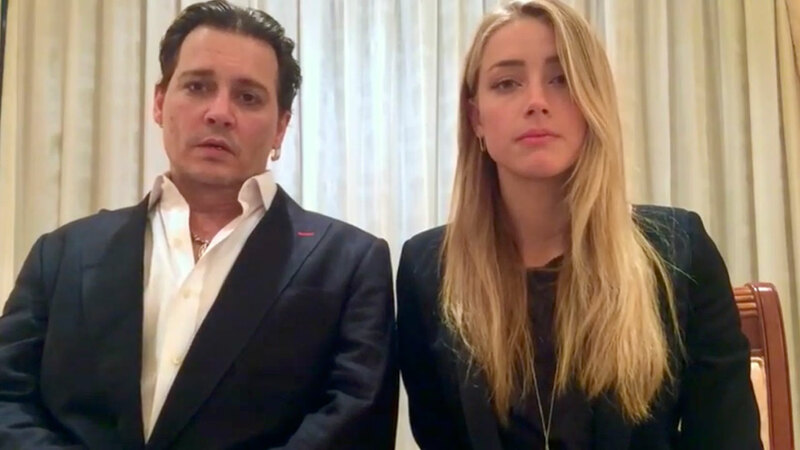 LOS ANGELES, CA -- Amber Heard said Thursday she is donating her entire $7 million divorce settlement from Johnny Depp to a pair of charities that will use the money to benefit women who have been abused and sick children. Heard writes in a statement released Thursday that the money will be split between the American Civil Liberties Union and the Children's Hospital Los Angeles. Heard says the money to the ACLU is being given to help its efforts to combat violence against women. Heard and Depp settled their contentious divorce on Tuesday, one day before the actors were scheduled to begin a restraining order hearing that would center on Heard's allegations Depp repeatedly abused her during their marriage. Depp denied he abused Heard, and his attorney accused Heard of making the domestic violence allegations to obtain a more favorable settlement. Heard writes that she knows the organizations will put the money to good use, and she plans to support them with future donations. In a joint statement on Tuesday, Heard and Depp acknowledged volatility in their relationship, which began after they met on the set of the 2011 film "The Rum Diary." "Our relationship was intensely passionate and at times volatile, but always bound by love," the actors' statement said. "Neither party has made false accusations for financial gain. There was never any intent of physical or emotional harm." Heard filed for divorce in May and days later obtained a temporary restraining order, accusing the "Pirates of the Caribbean" star of hitting her during a fight in their Los Angeles apartment in May. The 30-year-old Heard, who came to court with a bruise on her right cheek below the eye, accused Depp of repeatedly hitting her and throwing a cellphone during the fight. Police said they responded to the actors' apartment but found no evidence of a crime.